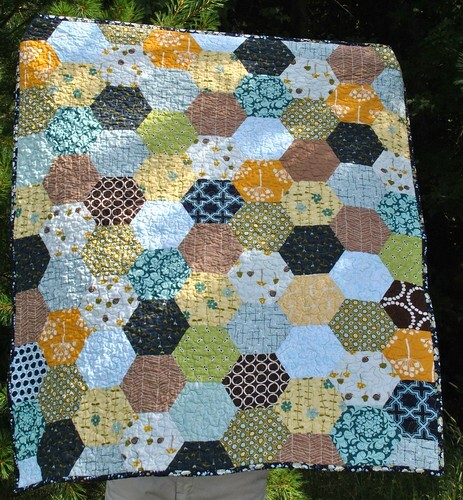 Last year in the chaos of moving to Seattle, I somehow forgot to make a baby quilt for one of my cousins! 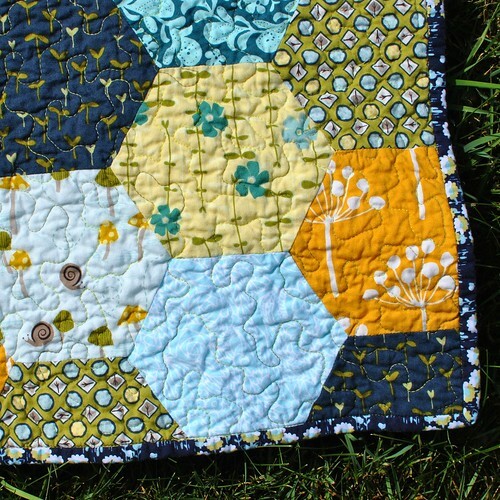 Her second child, and the first boy, was born last July and it wasn't until I received an invitation to his first birthday party that I realized I had never made him a baby quilt. I had these prints in my stash, so I thought I'd play around with some hexagons. 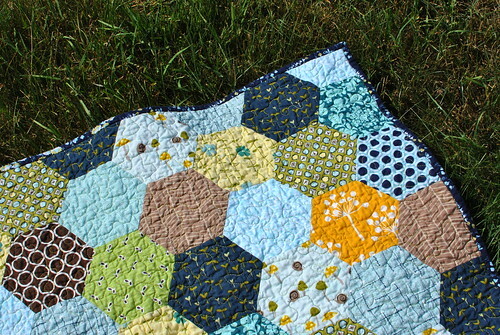 I drafted a hexagon template based on the best size to use with fat quarters (my hexie template has 3" sides, if you'd like to replicate it). The fat quarter set that I had wasn't quite enough, so I pulled some other prints from my stash as well. 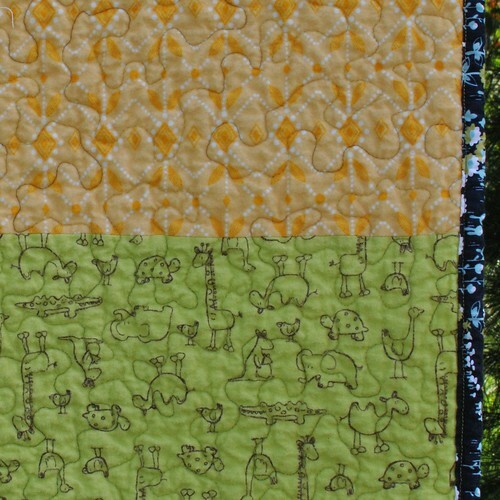 I quilted it in an all over meandering with a green veriagated thread like I used here. The binding is a print from Modern Meadow by Joel Dewberry. And on the back I used two flannels from my stash. The yellow is part of Anna Maria Horner's collection (the softest flannel EVER!). And the green is a print from JoAnn's. It was too cute to pass up! How cute are those animals?!? 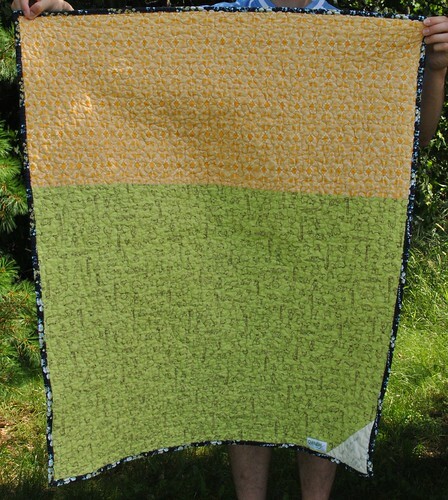 At approximately 35" x 42", this quilt is still a great size for a toddler to snuggle under. And I just received a thank you from my cousin saying that Liam has been doing just that!